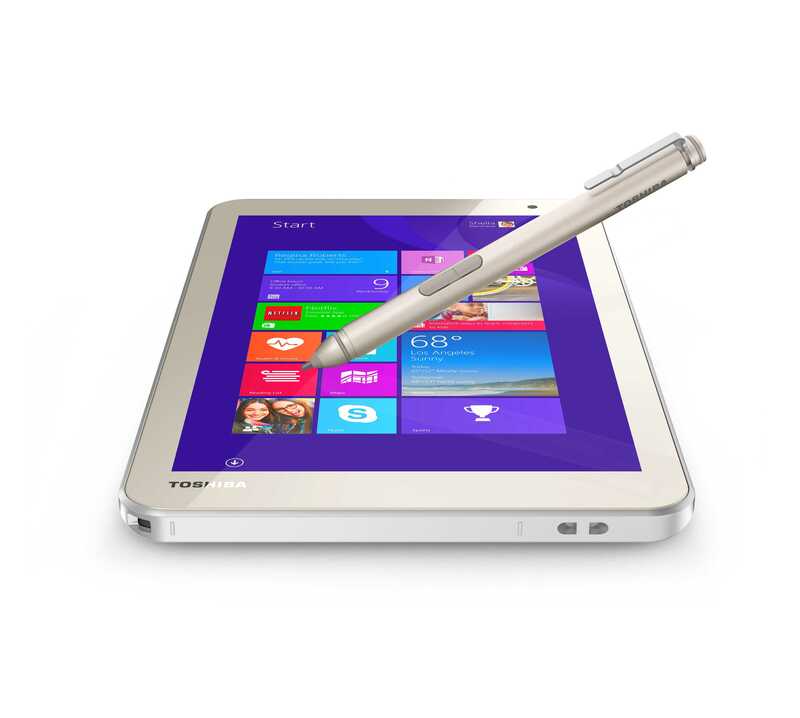 There’s no name for this product but given the history of Toshiba Write tablets it could be that this is going to launch as the Toshiba Write convertible. 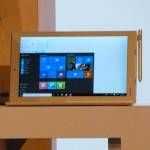 It was teased on stage at the Microsoft press event here at IFA a short while ago and it we’re told that information will be available over the coming weeks. 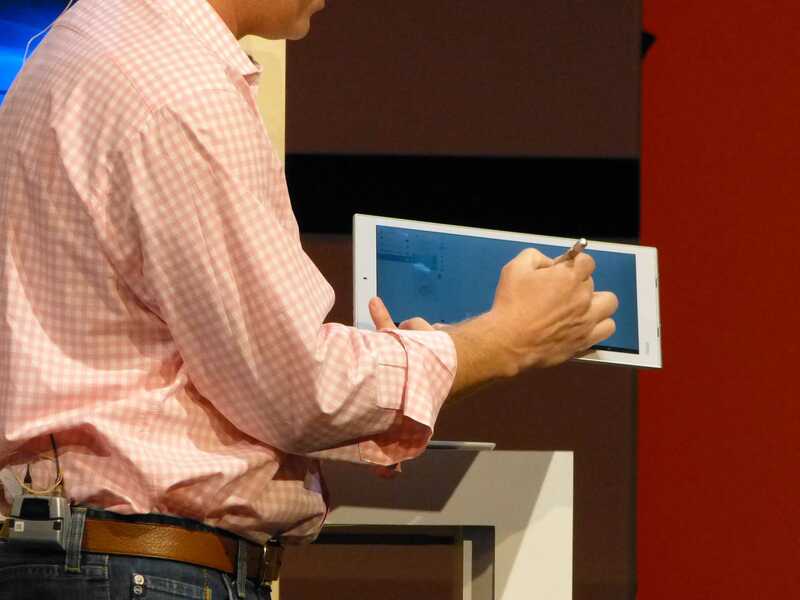 The tablet looks incredibly thin and we were led to believe that it’s based on a Core m processor. The rest is speculation based on what we see here. 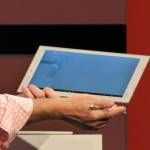 12.5-inch screen? We’ll have to wait and see what Toshiba launch over the coming weeks but the question is, why not now? 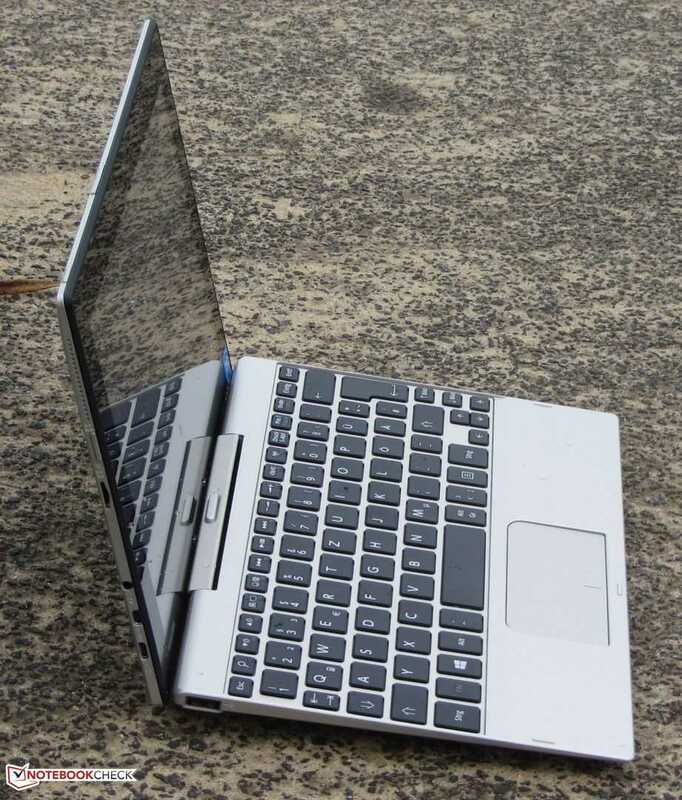 The Toshiba Satellite Click 10 follows in the footsteps of the Click 9, the unique netbook-style 2-in-1 with the big battery life. Like the Click 9 the Click 10 has a battery in both the tablet and keyboard but by keeping the weight down to 1.1 KG Toshiba have created the best battery:KG ratio in the 10-inch dockable tablet market. How’s the rest of this ultramobile PC though? Well done Roland! 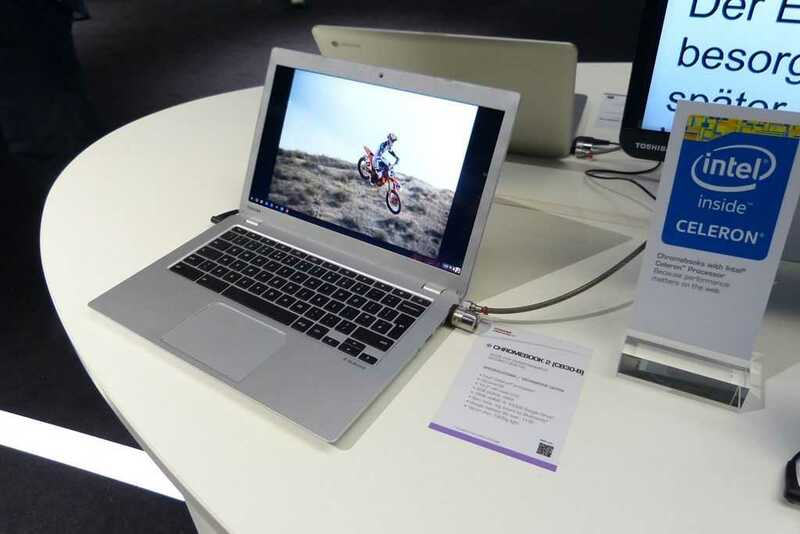 Mobilegeeks‘ video-man rushed into the product demo area after the Microsoft keynote at Computex today and made a quick hands-on video of a new Toshiba Ultrabook based on Intel Skylake. The waiting crowd weren’t very accommodating and you’ll hear that in the video. Here’s something for you to read with your coffee this Sunday morning. 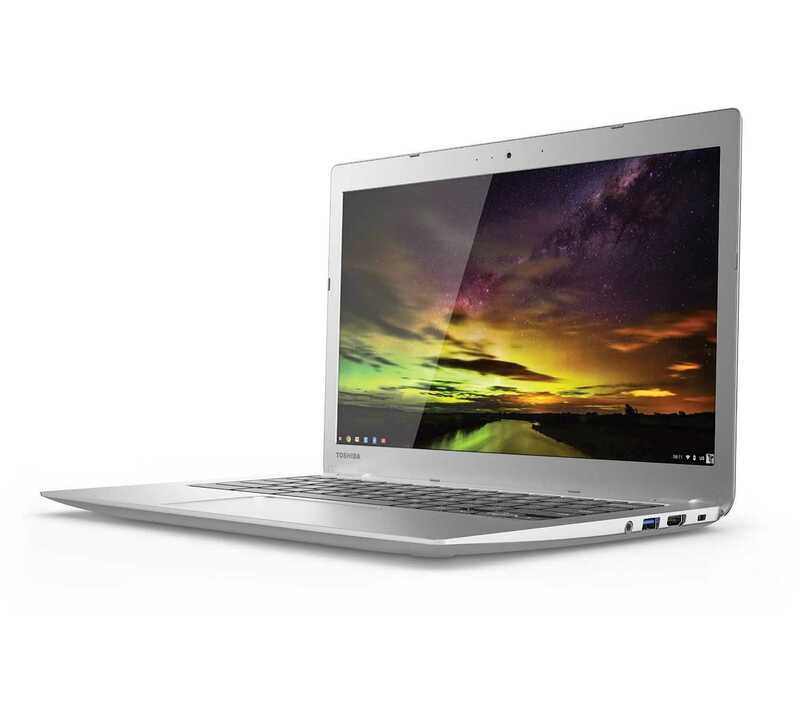 John Heckendon has bought and reviewed the Toshiba CB35-B3340 Chromebook with Full HD display. The review is very positive but is also correct to highlight that the Baytrail platform isn’t the best performing. John puts the CB35 up against the Dell 11 which runs a Haswell-architehture CPU. The CB35 is currently the number 5 best selling laptop on Amazon.com right now and there are 7 user reviews up there too. It really looks like this is going to be a big seller in Q4 2014. Toshiba have just launched two low-cost 11.6-inch Windows laptops that hit the same price brackets as their new Chromebook 2 which tells us one thing – no-one really knows how the $200-$300 Windows vs Chromebook market is going to play-out. Do they have overlapping audiences or are they well separated? The Toshiba Satellite CL 10-B is obviously targeted at this market with a specification list that only differs from Chromebooks by virtue of the fact that it runs Windows. 11.6-inch, Baytrail-M, small SSD. 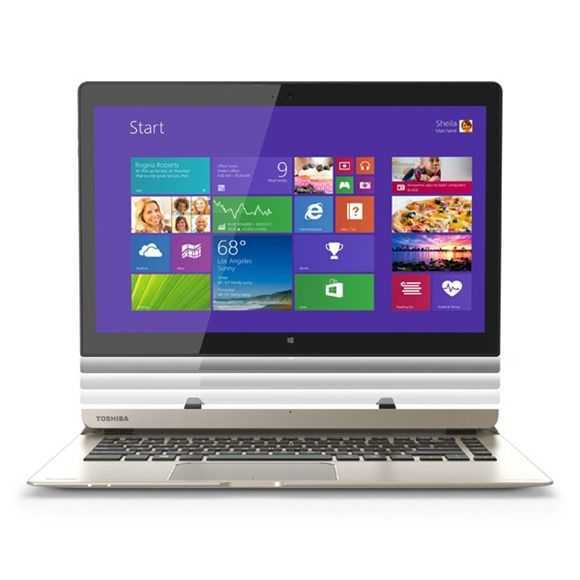 The Toshiba Satellite Radius 11 adds a 360-degree hinge. 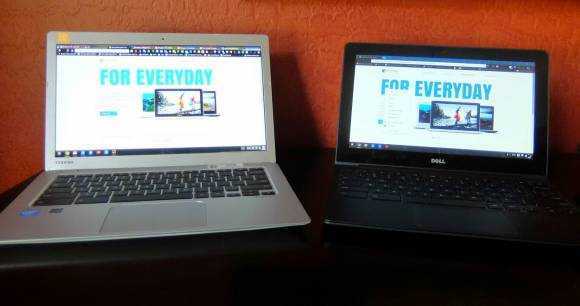 I took a look at both of these Windows laptops at IFA and here are two video overviews. 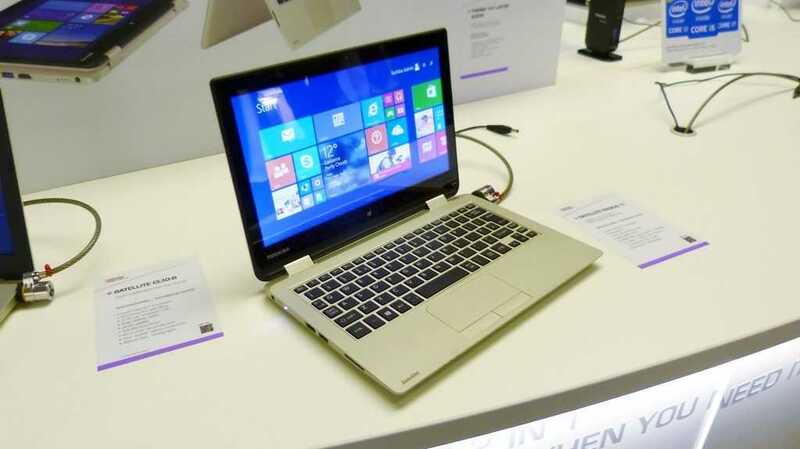 This basic Windows laptop is going to be a ‘sub 300’ product says Toshiba and we’ve subsequently heard that it will launch at 260 Euros. It still might be able to compete against the cheaper ASUS Eeebook X205 because in my opinion it’s slightly better built than the X205 and has a better keyboard but it could also have upgrade possibilities as it’s based on the SATA-capable Baytrail-M platform. With a battery capacity of 26Wh (unconfirmed) a TFT screen with a 1366×768 resolution, 2GB RAM and 16GB storage it’s got baseline specifications. Weght:1300 grams. 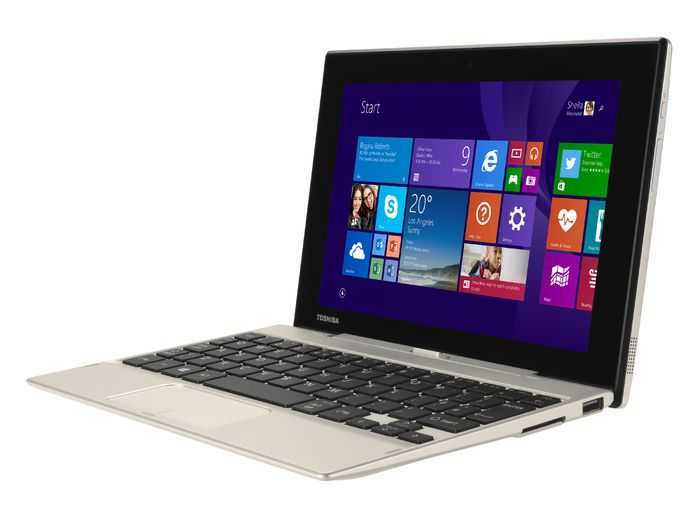 The Satellite Radius adds a 360-degree rotating screen to the mix. 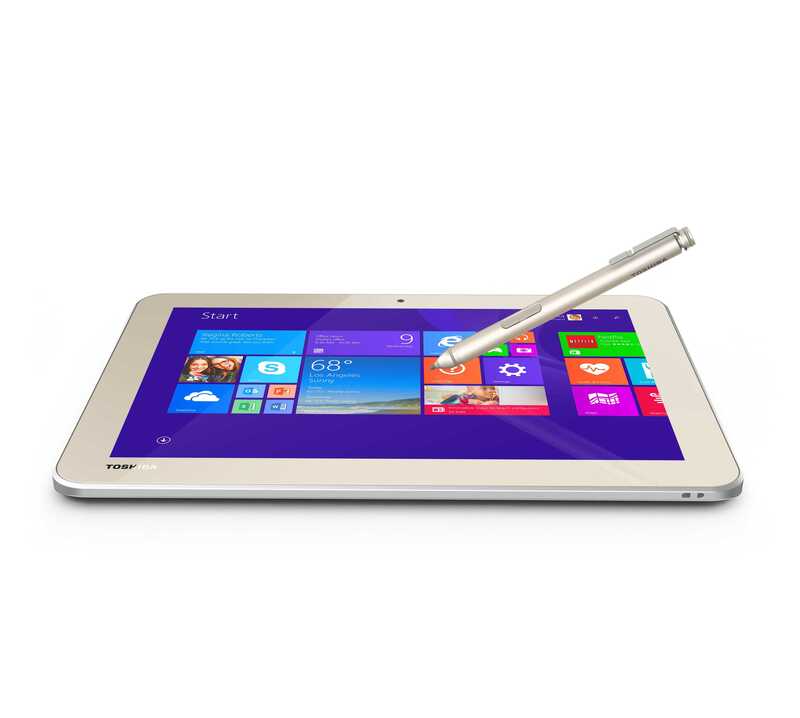 It’s still a non-IPS screen and the specifications are much the same as the CL-10B apart from a larger battery and a 500GB drive. Of course the weight and price is higher. 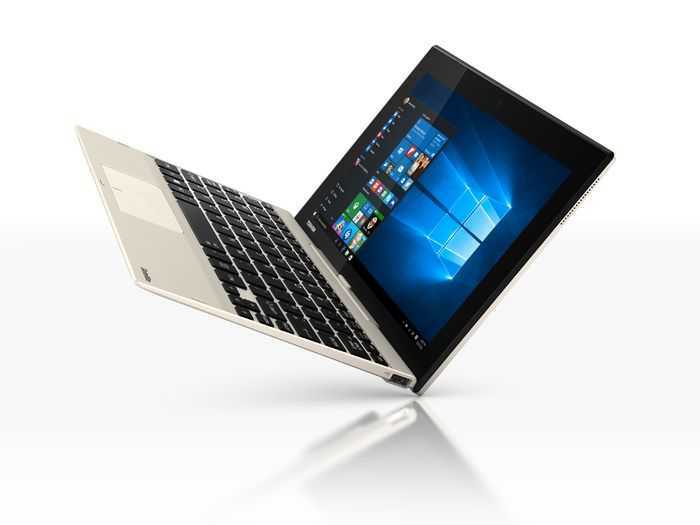 Price will play a major role in the success of the Radius 11 as it’s competing against the Lenovo Yoga 2 11 and other low-cost Yoga-like hybrids. Weight: 1500 grams. Toshiba Radius 11 photo set here. Here’s a really nice looking 2-in-1 Ultrbook that, unfortunately, weighs nearly 2KG when docked together. A 13.3-inch Full HD screen tablet running a Core CPU in under 1KG isn’t too bad though and there are options here for hard drives and additional batteries in the base unit. The design is good because it incorporates a rear extension that not only houses the ports but keeps the whole unit stable when the screen is tilted. The Full HD screen is really nice. Toshiba Chromebook 2 with Full HD Screen. Hands-On at IFA. Toshiba were showing off the new Chromebook 2 (CB30-B) at IFA in Berlin so I took some time to get acquainted. 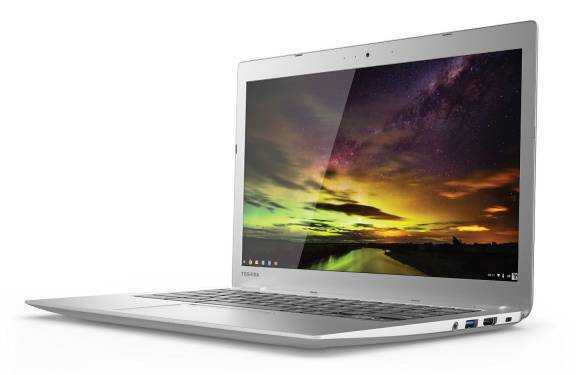 At an estimated 400 Euros it’s not a cheap Chromebook but it’s an interesting offering because you’ve got a Full HD 13.3-inch screen in just 1300 grams (2.9 pounds.) 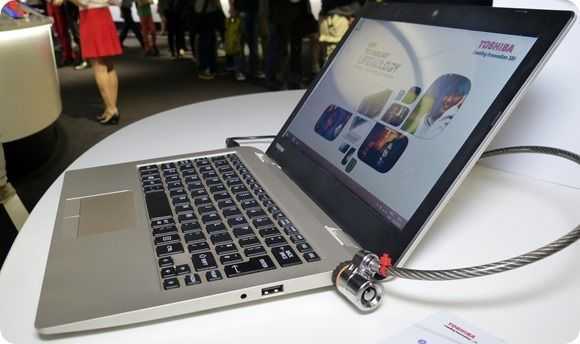 Like the Lenovo N20p it’s offering something a little bit different and after spending time with it I’m quite impressed. There’s a hands-on video below.